Thinking about visual access in terms of the arts can feel overwhelming. How can a child who has cortical visual impairment (CVI) possibly have access to and enjoyment of, an arts experience? On a recent outing to our local children’s theatre, it hit home how visual access makes a world difference for a child who has CVI. My son attends a public school with an “arts emphasis.” In addition to the usual curriculum of math, reading, and science, there are dedicated classes to dance, music, and prolific visual art making. A few times a year, entire school days are devoted to creating art. The hallways are lined with ever changing exhibitions of student artwork, sending the visual complexity off the charts. It is no wonder that, as the hallway complexity increases, my son who is in Phase III CVI (Roman-Lantzy) visually hones in on the red lunch wagon permanently parked by his classroom door. “There’s the lunch wagon!” he squeals as we approach. Among the visual chaos, he made his own accommodation by finding a salient feature (red wagon) that helps him find his way (Roman). When it comes to classes like dance and music, the CVI characteristics of complexity, distance and latency interfere with so much – recognizing faces near and far, interpreting body language, reading facial expressions, not to mention trying to follow along and visually attend amidst a complex sensory environment (Roman). Add difficulty with imitation, and these classes might seem off limits to a child who has CVI. As part of this arts emphasis, the students sometimes attend local performances at a neighborhood playhouse. On these outings, my son is accompanied by an instructional aide. At the end of the day, her report on the performance is always the same: Jasper was not very interested. Each time, upon hearing this, my heart sinks. Without even trying, it is easy to imagine him looking around, tugging at his shirt or otherwise keeping his hands busy, wiggling his body, rolling around, moving. My son has seen and been attentive watching movies (a few in movie theatres), at a ballet, and the theatre, a play. “Not very interested” stumped me. On a recent October weekend, we went to see Go, Dog. Go! at Seattle Children’s Theatre. Halfway through the performance, my son beaming and clapping and laughing and happy – it hit me. Comparing the two experiences – “not very interested” at a play with his class, or having the time of his life watching Go, Dog. Go! – what was missing was visual access. This was Jasper’s second time seeing a performance at Seattle Children’s Theatre. The first was The Cat in the Hat, by Dr Suess. A few years ago, this had been one of Jasper’s favorite books, he could recite the entire story to you. That experience, which is also about literacy, deserves its own future blog post. While The Cat in the Hat was about rote memorization, Go, Dog. Go! was a book that Jasper could read on his own. We read it together several times. We looked at and talked about each picture (against a plain white background). In the week leading up to the play, we read the book every day. Dogs are a meaningful subject. My son is afraid of dogs, so we talk about them, in an attempt to demystify them. We study the salient features (Roman) of different breeds. We play dog bingo. He have a growing collection of fake plastic dogs. And life size stuffed animal dogs. And dogs are everywhere in our town, so we talk about the difference between dogs running loose or off leash, and dogs who are safe and contained on their leashes, with friendly tails wagging (Roman). Dogs are meaningful to Jasper. We bring the book with us. It helps that we have read it many times, it is familiar. The play is adapted from the book, so following along is mostly smooth, with a few frantic page turns. We whisper and talk about the familiar page from the book. 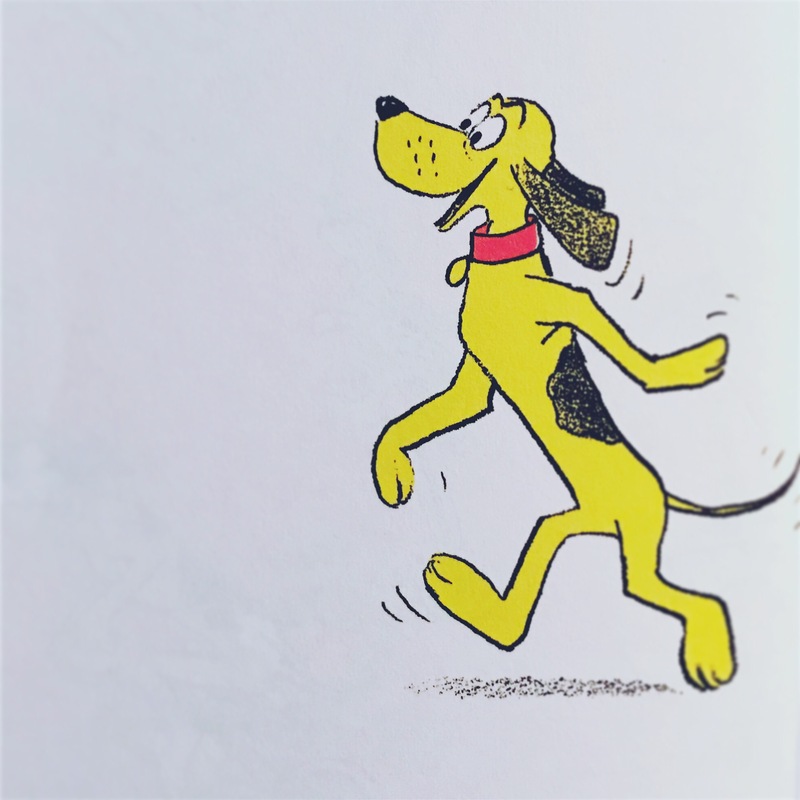 It helps that there are only four main characters: blue dog, green dog, red dog, yellow dog – or “preferred color” dog. It helps that the set design is spare, with a plain background. It helps that the only colors onstage are blue, yellow and red. It helps that there is lighting. And it helps when we sit left of center, with the stage to Jasper’s right (visual field preference, Roman). It helps that we have done all of this preteaching to give him visual access. Afterward my son met the actors and each “dog” autographed his book. Jasper was beside himself with excitement, while this CVI mom blinked back tears of gratitude at seeing his joy. It does not matter what CVI Phase a child is in, without visual access, the response is the same, He was not very interested. Looking at my son laughing and happy, visual access makes a world of difference.